Did you know that the psychological impact of color runs deeper than the bluest of blues? Colors are an important part of any marketing or branding project as well as pretty much everything else in our lives. In fact, the impact of color on our perception is enormous. According to one study, up to 90 percent of on-the-spot decisions made about products and services are based on color. So, what role does color psychology play in awning fabrics? How can choosing the right color awning fabric set your business apart from the competition? 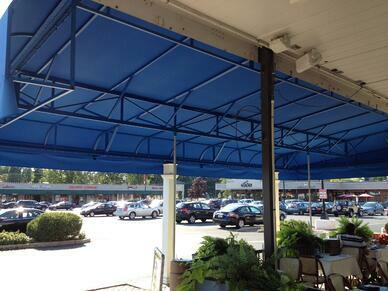 Color: This is the most important part of the aesthetic appeal of an awning. The color of your awning can distinguish your building from others simply by the beautiful color of the fabric of the awning that’s providing shade. Like a pop-out in a book, awnings are an extension of your business and the color is one of the first things people notice when they pass by. 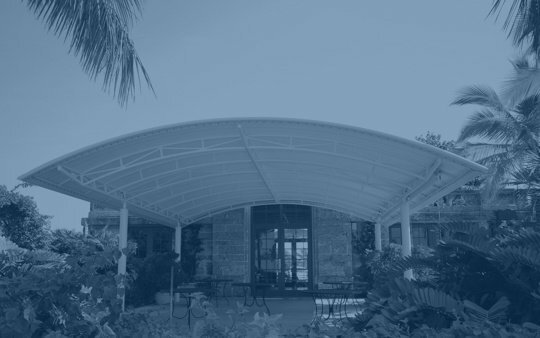 Design: Awning fabric can be made to stand out with shapes, stripes, and other designs. You don’t have to be limited to solid colors. Remember, an eye catching storefront is a great way to attract potential customers and get people to notice your store. Logo: A well designed logo printed on an awning fabric is a great way to brand your business and attract customers. With one good image, you have the ability to communicate to potential clients what your business is about. Remember, logos should be tastefully designed and match the color scheme of the awning fabric. What is the brand identity of your business? What are the colors you use in your logo? What colors do your neighboring businesses use? Do you want to stand out by using a different color? Remember, understanding color psychology is important but is based on guidelines, not hard and fast rules. That’s why finding the right marketing and advertising company to help you pick your colors, designs, and logos is important for your business. The type of outside awning fabric you use is also essential when it comes to colors and how long they will last in the sunlight; that’s where using the right awning textile supplier is critical. Not all awning fabrics are created equally. Some last longer, some are designed to protect against color fading, and come with warranties. For example, Herculite Inc. offers a line of outside awning fabrics that offer color retention, waterproofing, and more. Using quality awning fabric that can hold its color saves you in the long run. Remember, while all awnings have to be replaced or fixed at some point, why not start off with a quality textile that holds its color and will last for years?